We are pleased to announce the launch of the new College website. 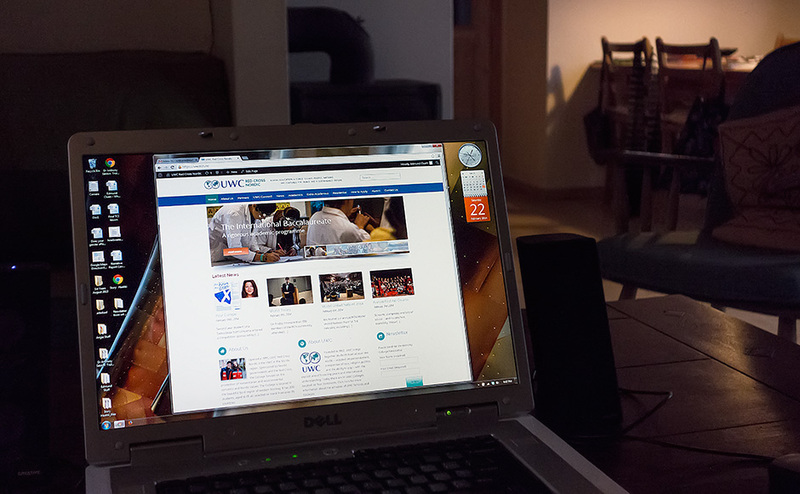 An editorial team including staff, students, alumni, the International Office and RCN Board representation has helped to create the new website over the past six months. In this way we have made significant strides in developing our main interface with the outside world (including future applicants, parents, alumni, sponsors, supporters, and the general public). The aim for the website is that it should be informative, appealing and reflect the incredible diversity of activities and programmes at the College. We wanted it to be aesthetically appealing, but not at the expense of receiver quality in places that do not have broadband capacity. It is designed to keep our network abreast of developments at the College and also to provide detailed information about what we offer to all those prospective students across the world. Our facebook page provides images of the day-to-day events at the College – and we invite you to stay connected with RCN through these media. We are also pleased to announce that, in tandem with the new website, we have redesigned our College database (w4) to include an alumni function which is designed to provide up-to-date standard information on individuals which members of our alumni body and former staff can access. Chris Hamper and an external consultant have been at the heart of the design. Our alumni team on campus (led by Arne) have worked together over the past eighteen months on the development of alumni engagement and the design of the database – alongside input from Jean-Paul Ginestier, as Volunteer Alumni Coordinator. We hope that the w4 will both provide alumni with the opportunity to look back through your own personal and unique RCN kaleidoscope and to stay connected with the RCN community in the years to come. Please follow this link to take you to the login page of W4. contributing to international understanding and cooperation. The competition offered several options for participants and the one Lina chose was to write an essay outlining a vision of Europe in 2030. A winning submission would be rewarded with a two-day trip to Rome, preparatory workshops, and an interview with Martin Schultz, the President of the European Parliament. 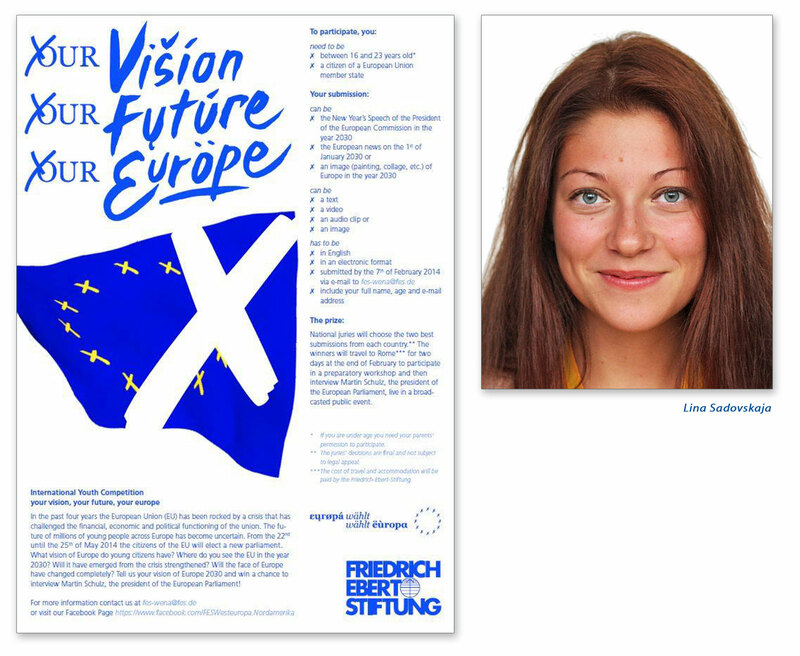 Lina wrote the New Year’s speech by the President of the European Parliament for 2030 and we are very pleased to say that she was selected to travel to Rome as one of the competition winners. I am honored and delighted to be able to welcome the New Year together with you, the citizens of the European Union and the members of the European Commission.I thank you for providing me with an opportunity to address the entire European Union as I could hardly imagine a better time to say a few words about the challenges and responsibilities we will be facing in the year to come. Every decade has demanded a different European Union. However small the differences in our legislation now and then, every struggle has strengthened the foundation which our multidimensional organization is built upon. Our success in tackling these detrimental problems has finally left us with time and resources to deal with an issue more critical and no longer escapable. The predictions, which were questioned 20 years ago, can no longer be questioned. Climate change is no longer disputable. 2030 and the following years will be dedicated to an issue neglected for too long. Energy sustainability and climate change will be a priority the coming decade. In 2015 with the newly elected parliament, a new economic direction was taken and a long-term economic commitment to the debt reduction of the member states in crisis was made. Through supranational economic governance and unified legislation, we were able to collaborate and create more than 24 million jobs and reduce the unemployment rates of those countries by almost a third. This type of achievement was only possible because of every single contribution made from the other member states of the European Union. In 2021 following Lithuania and Latvia, Iceland and Macedonia’s entry into the Euro-zone, Ukraine was introduced as a candidate member. The economic strains of further enlargement of the union became the vocal point of parliamentary reform on redistribution of the EU structural funds and migration policies. Yet again, through collaboration and distribution of political and economic responsibility, the EU member states have been successful in transporting stability to more countries in Europe. Now in 2030, collaboration will be the essential component to revamping our environmental efforts. Although many countries had pledged to phase out their nuclear plants, some of these promises were never kept. It is hard to reach a system of justice when the efforts and responsibility taken varies within the Union and members fail to live up to their expectations. While countries like Sweden, Latvia and Iceland have already surpassed the renewable energy targets set for 2020, others have trouble fulfilling the goals of 10 years ago. It is clear that new efforts have to be made. The only way the European Union can combat the climate change in the following years is to promote the renewable energy sources and guarantee the independence from the external energy sources. I cannot stress the importance of EU’s GDP investment in the research and development of alternative energy sources enough. We all need to pressure our elected officials to treat this issue with importance. How can we expect a stable economy if it is dependent on finite resources? It is time to make the EU as independent as possible not only in the coming year but in the coming decade. I am honored to share this New Year resolution with you and make the environment and environmentally conscious energy development a priority in the politics of the European Union of the coming decade. Many congratulations to Lina. We look forward to hearing about the trip to Rome. On Friday 7th more than 100 members of the RCN community attended a World Today presentation titled, ‘The New Global Order’ given by visiting speaker Dr. Cedric de Coning. Dr. de Coning is head of the Peace Operations and Peacebuilding Research Group at the Norwegian Institute of International Affairs (NUPI). He is also a special advisor to the Head of the Peace Support Operations Division of the African Union, and a member of the Advisory Group of the UN Peacebuilding Fund. Cedric serves on the research board of CMC Finland and on the editorial boards of the journals ‘Peacebuilding’ and ‘Global Governance’. His presentation described the changing face of international alliances and how, after many decades of western countries guiding the policy decisions of international institutions such as the IMF, WTO, and World Bank, other alliances – such as the African Union, and the BRICS countries (Brazil, Russia, India, China and South Africa) – are finding common cause to justify claiming a voice in international policy decision-making. Dr. de Coning’s take on this readjustment of influence seemed to be largely positive and optimistic. After his introduction, Dr. de Coning took questions for an hour from a very attentive and interested audience. Earlier in the day, Dr. de Coning’s wife, Eve – who works with Interpol to research contraventions of maritime law and promote international cooperation between enforcement agencies on various issues – gave a presentation focused on fish in the global food supply, and specifically on ships recently impounded in Cape Town. These ships fish in international waters and evade various regulations and conventions (eg, species-specific and total catch quotas, income tax, human labour laws, and basic human rights) by various means, including changing their registration details (flag, name & identity). The presentation highlighted, on the one hand, the challenges of promoting and monitoring sustainable fishing practices at a global-international level and on the other, the problematic inter-relatedness between organised crime and environmental and humanitarian values. A thoroughly engaging presentation that dealt with topics in biology, geography and environmental systems & societies courses, prompted many focused questions! 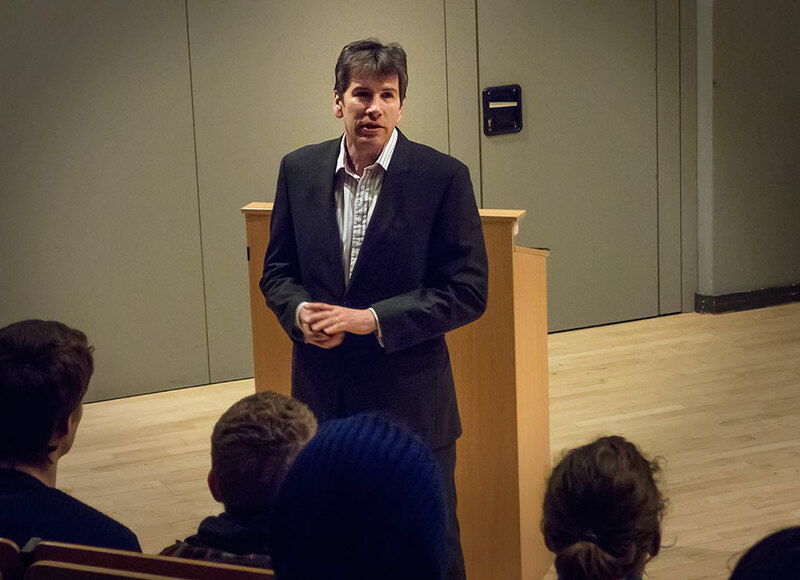 On Saturday morning Dr. de Coning led a well-attended workshop for History and Global Politics students about peacekeeping and peacebuilding. Our thanks go to Dr. Cedric and Eve de Coning, and to the World Today team for organising the visit. 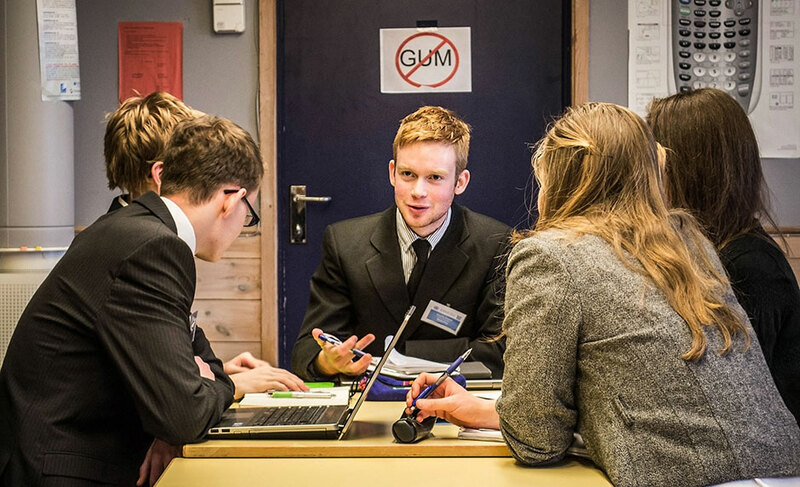 We hosted our annual RCN Model United Nations from 1st-3rd February, including six guests from Bergen Katedralskole alongside all our first year students. The participants debated global issues similar to those discussed in the forums of the United Nations and were invited to join one of the five UN committees, or the Security Council and then spent three days trying to tackle various issues from the perspective of a UN delegate. 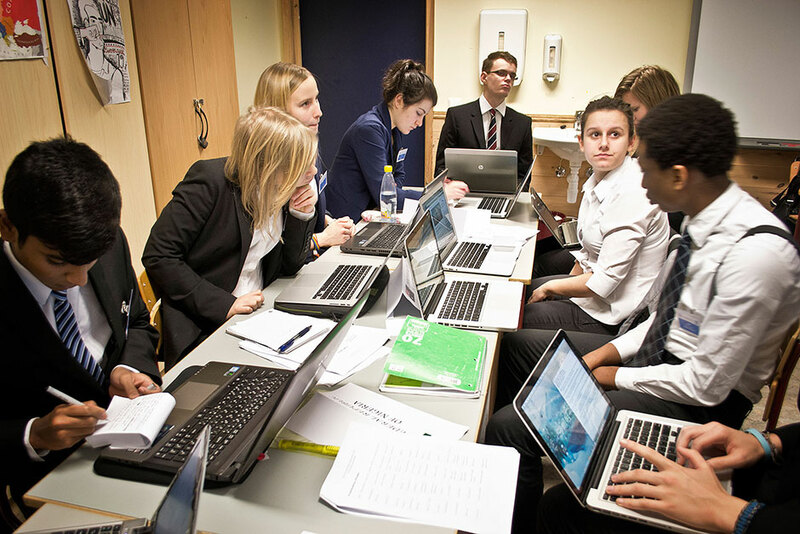 Apart from discussion on global political issues, the conference also included activities such as day and night crisis simulations, a delegate dance and the formal dinner. The Project Based Learning event was managed and organized almost entirely by the second-year students, who for more than six months have been working on the planning of this event. 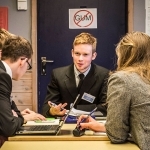 From the first training sessions in early autumn, first-year students enthusiastically took on the role of diplomats and political leaders, attending international conferences and debating issues. 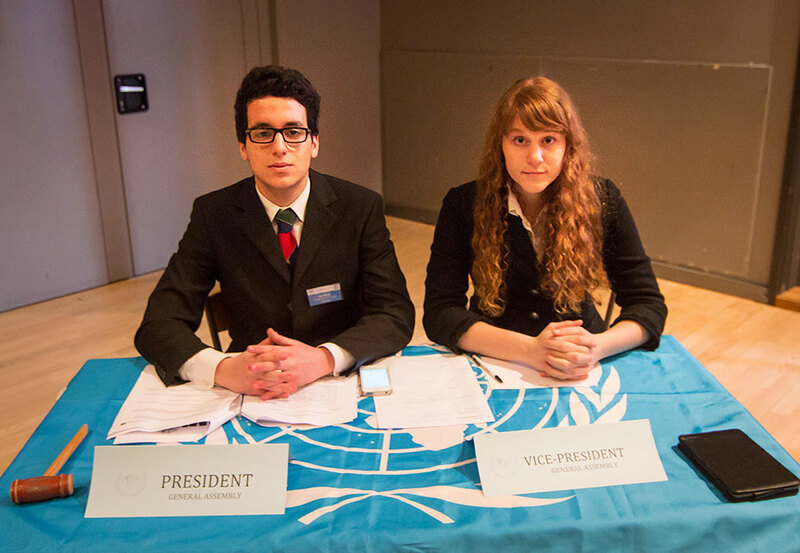 Students were encouraged to follow the strict procedures of RCN MUN – although there were the inevitable struggles to refer to themselves in the third person! Among the debated issues were environmental problems, human rights, peace negotiations, piracy, security and diplomacy. These important topics made the RCN MUN feel relevant. You will experience success, frustration, stress and excitement, but at the end of it all however, I hope each and every one of you will take away one simple thing. Inspiration. Inspiration to make a change and inspiration to be the change. In many committees negotiations on such challenging topics were animated, starting early in the morning and continuing late into the night when delegates drafted their resolution. 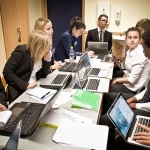 By using social media such as Tumblr and Facebook the RCN MUN 2014 journalists and photographers both helped and prevented the participants from developing and promoting their own solutions to pressing world problems. 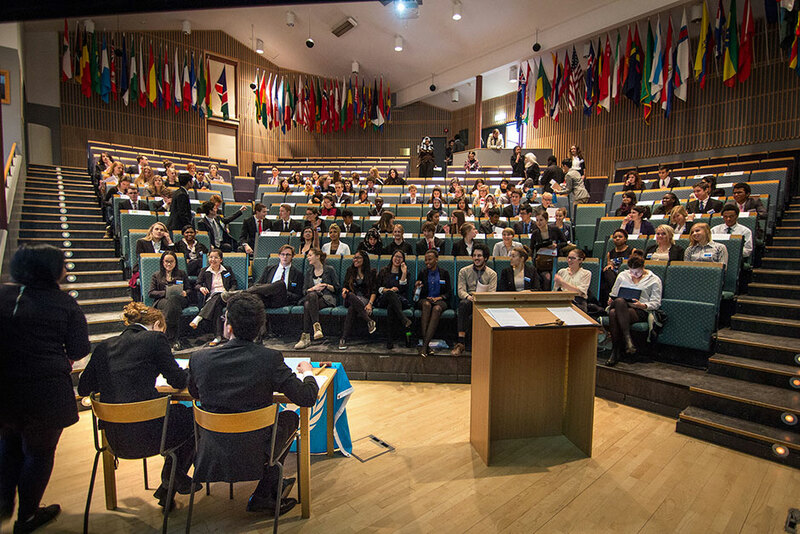 On the third and final day of the RCN MUN 2014 conference, the delegates gathered in the General Assembly to present and vote on their solutions for the overarching global issues they were tasked with addressing. The General Assembly was closed with the best delegates being awarded for their performance. I really liked the RCNMUN. Not only because we got a peek into the world of diplomacy and step into the shoes of ambassadors and diplomats, but also because through experience we learned how one single nation’s decisions may affect national, regional and global politics, as well as learning more about the world today as we become an increasingly interdependent international community. Further pictures can be found on the College facebook page here.